New traffic control was temporarily installed on the small Arlington Blvd to address new traffic flows from the Courthouse/Rt. 50 interchange reconstruction. Some of the new traffic control has now been removed. The temporary stoplight that was installed at the corner of the small Arlington Blvd and N. Meade St. is gone. The stoplight increased the safety of the intersection when it was active. It was bizarrely active early Sunday morning, but not late Friday night. 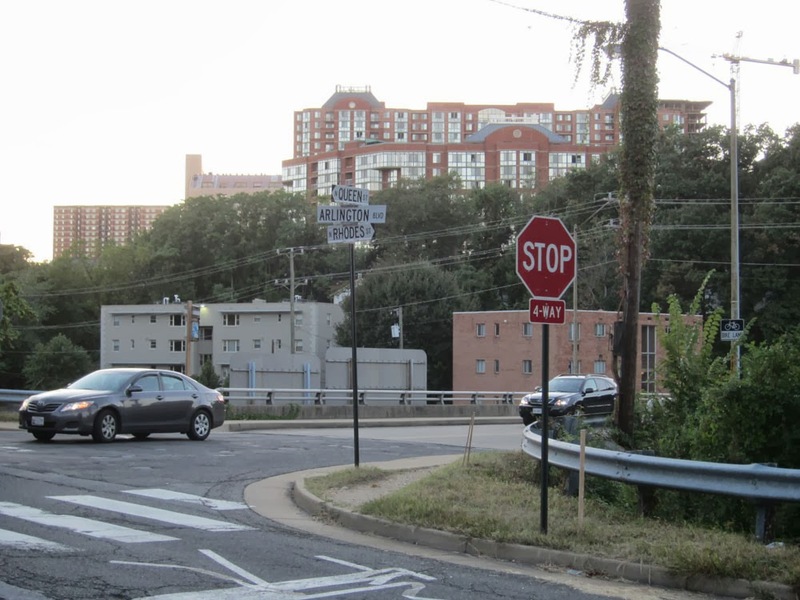 As soon as Arlington County can secure five to six million dollars for the Meade St. Bridge renovation, a stoplight will be permanently installed at that corner. The Virginia Department of Transportation (VDOT) apparently forgot to remove the four-way stop installed at the Rhodes St. Bridge. The four-way stop has improved the safety of that intersection. To the Ode Street Tribune's readers in VDOT, thank you for forgetting to remove the temporary stop signs at that intersection!